If you have got all ‘theme parked out’ and you are ready for something quiet and off the beaten track, then take a ride along State Road 50 and visit the Pioneer Homes and Fort Christmas. This piece of Pioneer History can be found about 1. 8 miles along North Fort Christmas Road off the main highway in the very small town of Christmas. The travel time from the theme park area is just over an hour. Fort Christmas Park houses a number of very interesting buildings but it is named after the full sized replica fort which stands in the grounds. 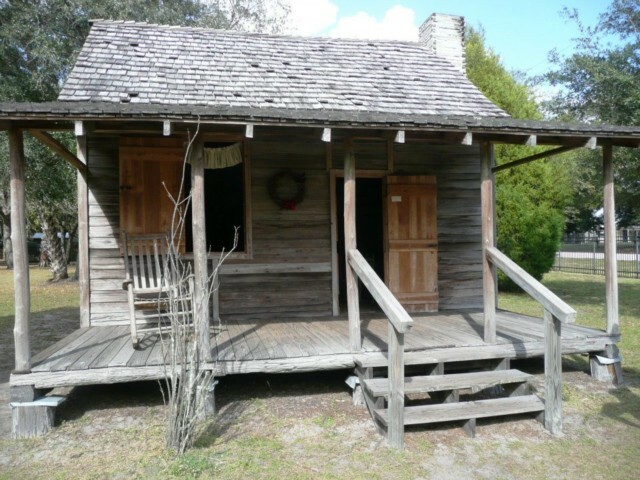 It is a copy of the one built in Christmas during the Second Seminole Indian War. 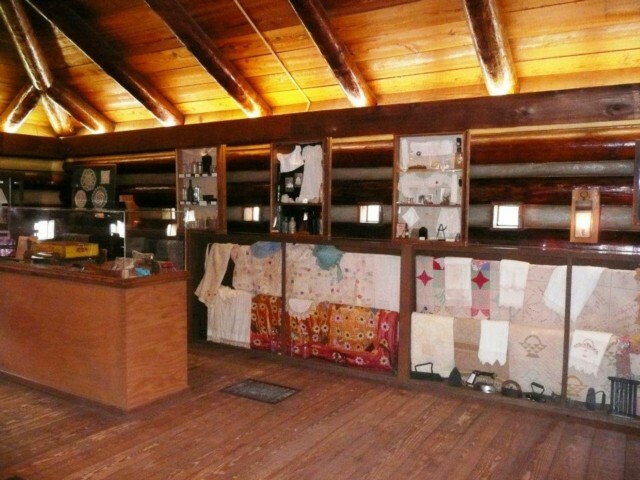 The fort is a fun place for supervised children to play but it also has some very interesting blockhouses which have artefacts and photographs which depict the lives of some of the early pioneers. It also has a quilter’s room and a video area. 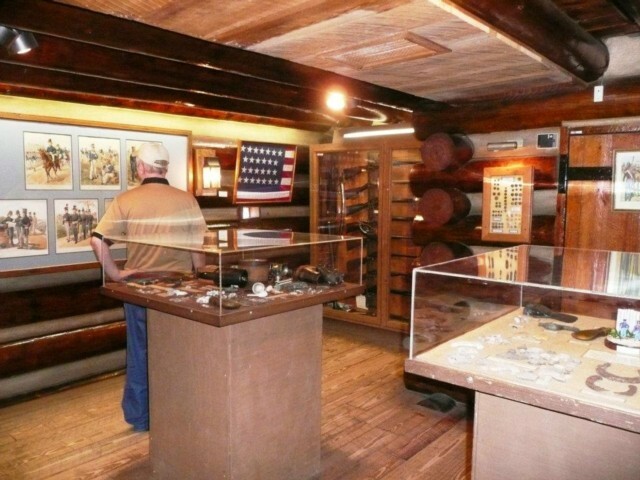 My husband spent a long time in the blockhouses enjoying the stories of the families whose homes we were about to see. I enjoyed the artefacts from the Seminoles and the fabrics. The site has a very large car park and it is worth remembering that if you are going to explore all the pioneer homes and other buildings that you should have water and sunscreen as there is considerable walking in the open air. The Pioneer Homes are worth the walk and I wished that I had got better acquainted with the history of the families which had been displayed in the fort. You can also visit the old school house and post office. The reception building houses a small gift shop and there are Restrooms however you will need to take your own picnic as there is no food served here or indeed anywhere in Christmas. As well as the Historical structures on site there is a playground, a picnic pavilion, a basketball court and a ball field. They are pretty basic but if the weather is not too warm then they make good run around spaces for youngsters. Viewed 2987 times since 16 March 2012. From Gizmo City to the gift shop.